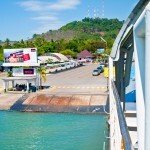 We arrived at the ferry station to Koh Chang at 11.15 hrs. I strongly believe if I would have departed from Suvarnabhumi Airport we could have arrived at least 30 minutes earlier. 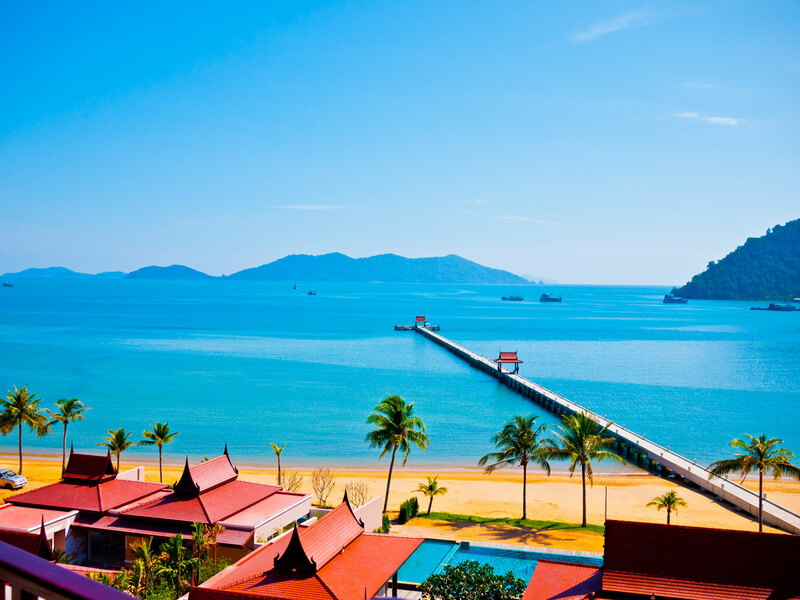 As you may know there is a airport at Trat Province which is served by Bangkok Airways. 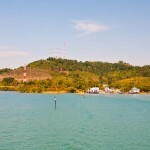 Trat Province is the home province of ‘Koh Chang’ or Chang Island. But I did choose the car transfer for comfort and timing. For air-transfer, I would need to check in at least one hour before departure, the departure is average 20 minutes delayed on airports, the flight in the small plane takes 45 minutes, I would need to wait about 20 minutes to get my luggage and then I would have a 30-40 minutes trip to the ferry station. 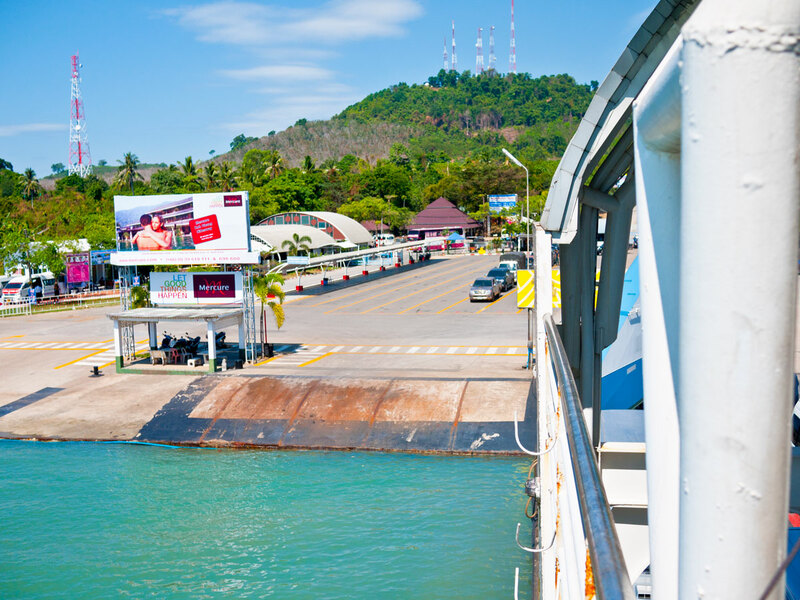 Considering all this, I would recommend everyone to choose transportation by car as it allows you to see some scenery of Thailand or you can simply take a nap in the car. Most of the time the trip buy car is faster and most importantly, it’s cheaper as well. 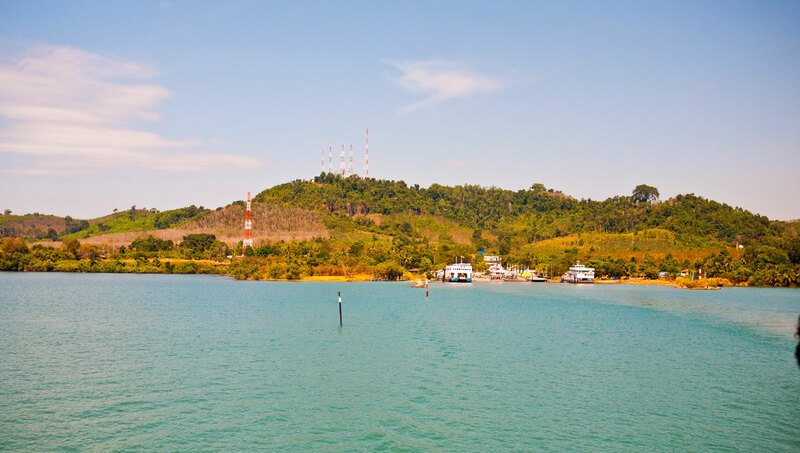 I also post a few pictures here, two from while one the car ferry and nice shot when arriving at Tranquility Bay Resort with. The views from my very spacious 120 sqm room have been simply breathtaking!